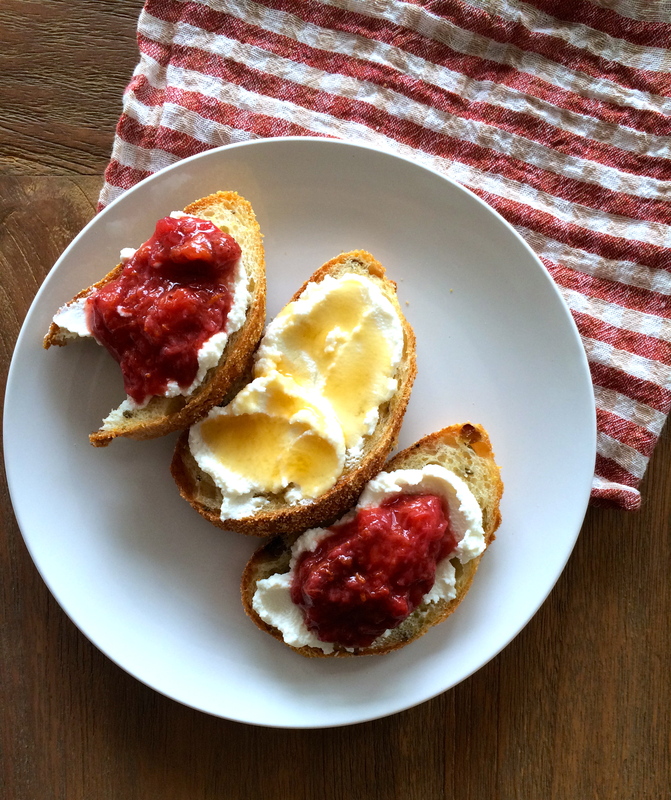 Jam or fruit preserves are one of the simplest things to make. 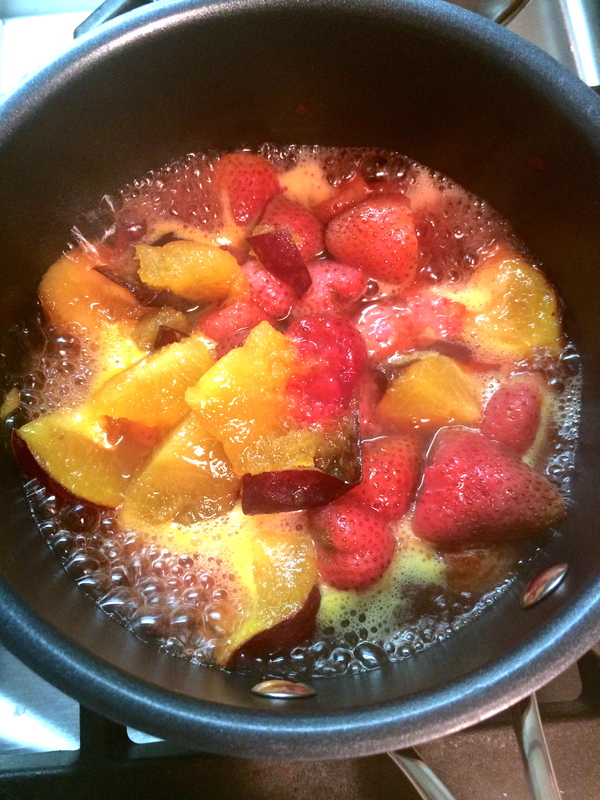 Basically you are just cooking fruit until it turns to mush (is that a technical term?!). So anything you can buy in bulk at the farmers market or if you have some extra fruit lying around – get creative and make your own jam. No preservatives or additives when its homemade! I happened to have some strawberries and plums in my fruit basket, plus I added a little orange rind and juice to give it a little tartness. 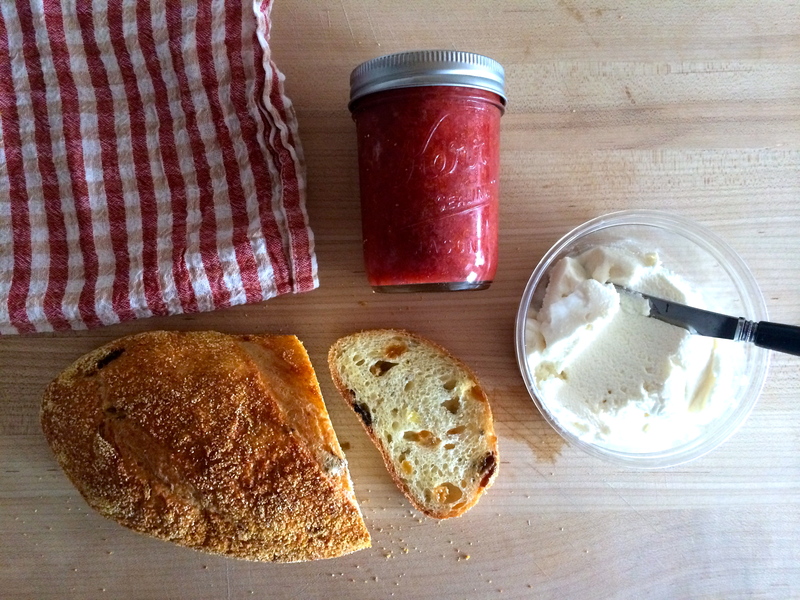 I bought some Ricotta Cheese from the lovely Bedford Cheese Shop here in Williamsburg, BK, along with a delicious Fennel Raisin Loaf from Amy’s Bread. Meanwhile add your mason jar to boiling water (lid included) to sterilize it. Remove carefully and pour jam inside, close and put in refrigerator over night. * Note: for people who are used to store-bought jams, next time you are in the store read the label of your favorite brand. Check out the preservatives and amount of added sugar. Homemade will not taste as sweet but I promise you it is better for you. So you can experiment with each batch. If you want it sweeter you can add more honey or agave for example, if you want to be a purest don’t add anything. It’s up to you. 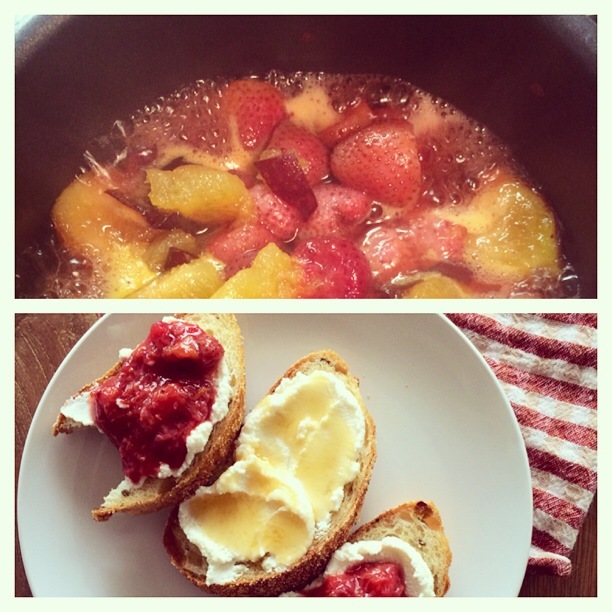 This entry was posted in BLOG, Breakfast and tagged amys bread, bedford cheese shop, breakfast, brooklyn, fruit, healthy, homemade, jam, nyc, the model diet, williamsburg on June 25, 2014 by Kelly O'Dell.